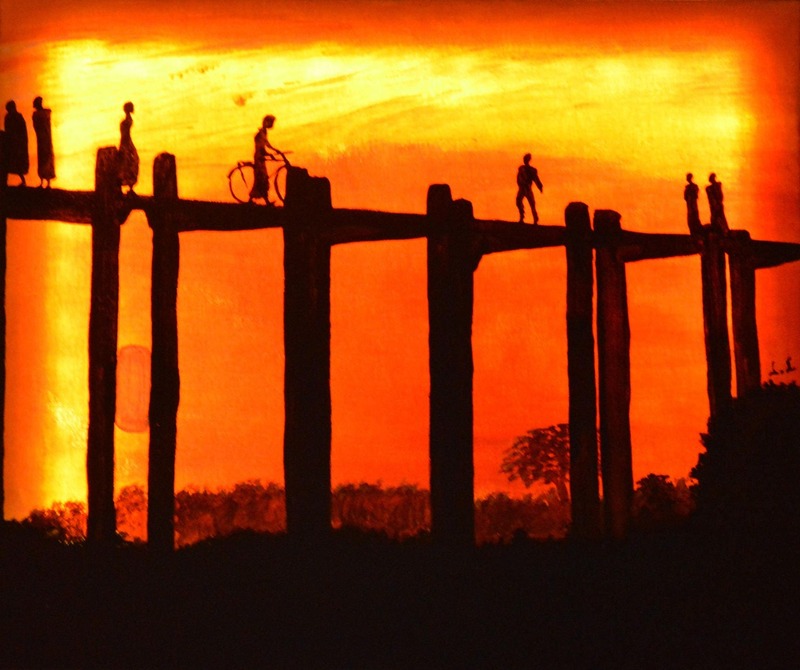 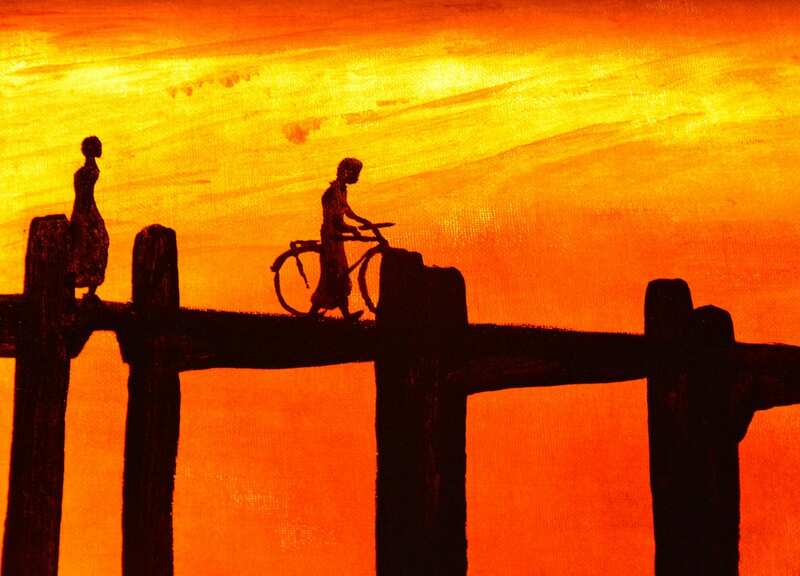 Bright painting representing a Burmese bridge under a sunset. 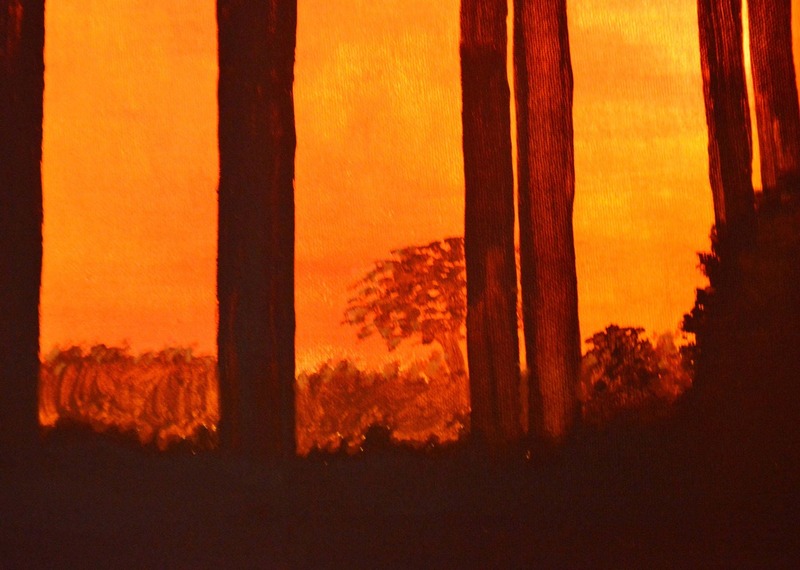 Acrylic paint on cotton canvas on frame dimensions 55cm x 45cm. 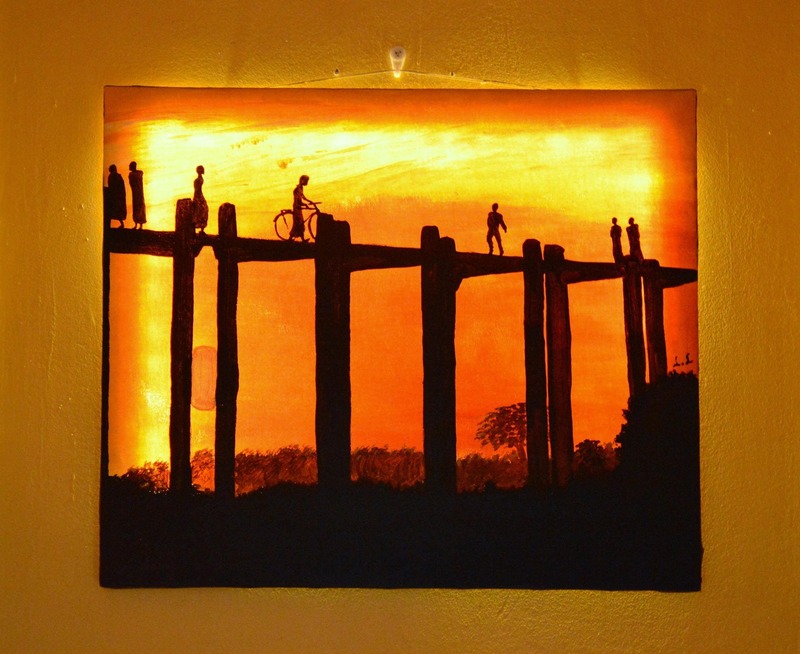 For an original effect and a unique ambience, the canvas is illuminated by LED bulbs (powered by batteries, provided, 3x AA) which accentuates the colors of the sunset. 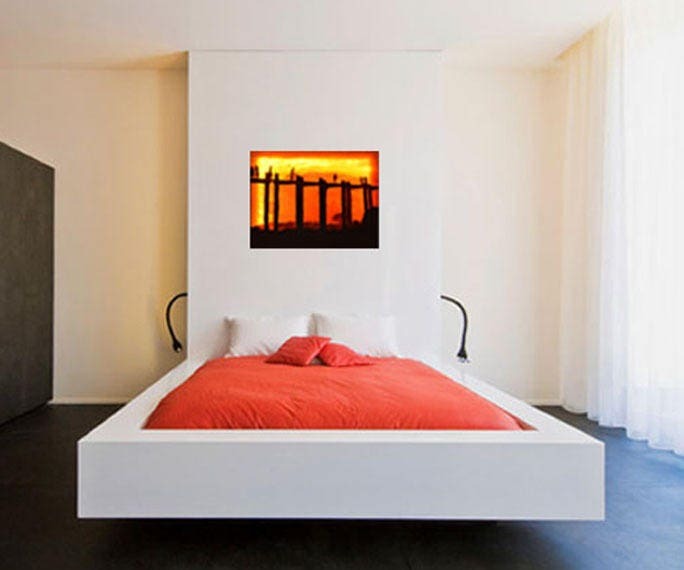 A small and discreet switch is integrated on the side of the canvas, no more thread!